It is worth mentioning that both events were attended by director of the Polish Science Contact Agency in Brussels, prof. Małgorzata Molęda-Zdziech, and head of the administrative department of the Institute of Law Studies of the Polish Academy of Sciences, project adviser, Mrs. Aleksandra Kępczyńska. The report of the European Commission Integration of Social Sciences and Humanities in Horizon 2020: Participants, Budget and Disciplines published on February 28, 2019 is of cross-sectional nature. It covers not only general trends, but also various dimensions of integration, such as the budget going to SSH, the involvement of SSH partners in the integration process, participation of particular SSH disciplines, as well as sectors and participant countries in 2017. Many interesting conclusions come from the report. Looking more closely at the SSH field in 2016-2017, we could observe both numerous positive changes as well as areas that still calling for intensified actions or appropriate modifications. Referring first to positive changes, it should be emphasized that the share of SSH projects in the budget of the Horizon 2020 increased in 2017 to 23% (20% in 2016). What is important, the number of SSH-flagged topics also increased – from 84 in 2016 to 113 in 2017, and the percentage of projects with at least one SSH partner went up significantly – 86% of funded projects in 2017 (in comparison to 71% in 2016). Most of the SSH flagged projects concerned the 6th Societal Challenge ‘Europe in a changing world – Inclusive, innovative and reflective societies’ (75%), the least (8%) ‘Secure, clean and efficient Energy’ (3rd Societal Challenge). However, some issues remained largely unchanged. In the aspect of project coordination in 2017, the EU-15 countries strongly dominated (86% of funded projects), whereas the U-13 countries were still underrepresented (12% of financed projects). The project coordinators mostly came from Germany (15%), Italy (15%), Great Britain (15%), Austria (7%) and Belgium (6%). In addition, there was a visible predominance of representatives of some disciplines – economics, business, marketing (31%), political science, public administration and law (28%), education and communication (12%) or sociology (9%). There were still few projects funded in such areas as history (4%), anthropology or ethnology (3%), as well as demography and geography (1%). The 4th Monitoring report also includes summary of the activity of SSH representatives within the first pillar – Marie Skłodowska-Curie Actions (MSCA) or European Research Council grants. Compared to 2016, the number of SSH participants in Marie Curie-Skłodowska Actions in 2017 decreased by 2% – from 18.5% to 16.5%. SSH was best represented in the Individual Fellowships actions (25%), in the Research and Innovation Staff Exchange (17%), then in the Innovative Training Networks (11%). 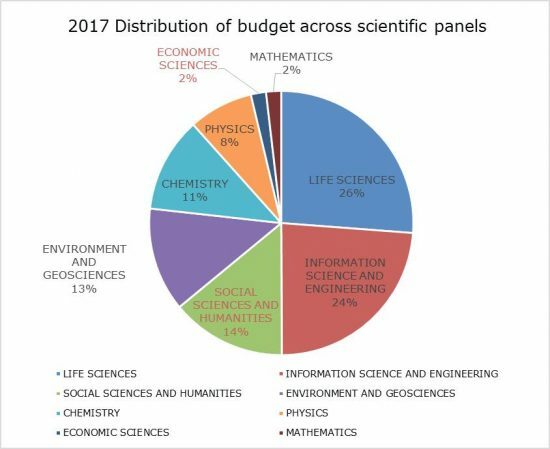 When taking a more detailed look at the budget of MSCA projects across fields, it is visible that social sciences and humanities were in third place (14%), behind life sciences (26%) as well as information science and engineering (24%). When it comes to projects funded by ERC in 2017, more than 431 million euros were awarded via the SSH panels of the ERC, which constitutes an important increase in comparison to 2016 (+17,1% year over year). 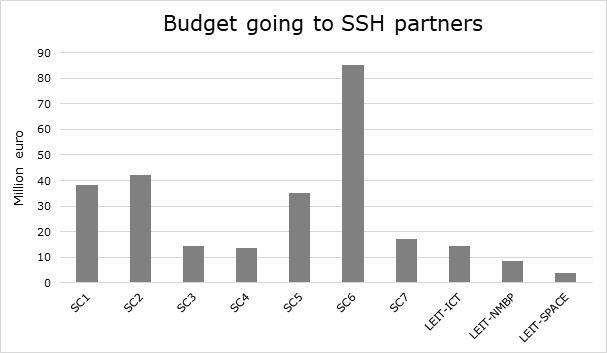 In addition, the percentage of grants related to SSH went up significantly – SSH grants represented a share of 25% of all projects (3% more than in 2016). 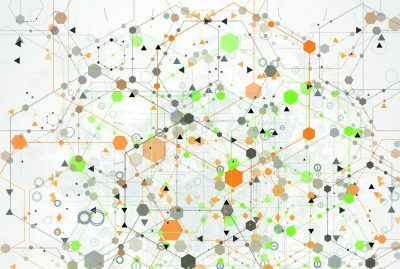 This fourth Monitoring Report on Integration of SSH across Horizon 2020 shows that on many aspects progress has been made since the start of the programme. However, it also underlines that more efforts are needed to get the results strived for in this policy area. One of the solutions could be to encourage universities, research institutes or researchers in the social sciences and humanities to participate in networks such as the European Alliance for Social Sciences and Humanities (EEASH), the European Network for Research Evaluation in the Social Sciences and the Humanities (ENRESSH), European University Association (EUA) or projects such as ACCOMPLISSH or Net4Society. Another possibility is participation in events like Brokerage Event, which are an opportunity to present a scientific institution (or group of researchers) and to establish contacts, particularlyimportant in the view of potential scientific cooperation. In addition, it is crucial to share good practices examples in the field of SSH. A perfect examples are: the EVALUATE project, very popular in the media and on Internet, the HiReach or the TRACES project on European cultural heritage.